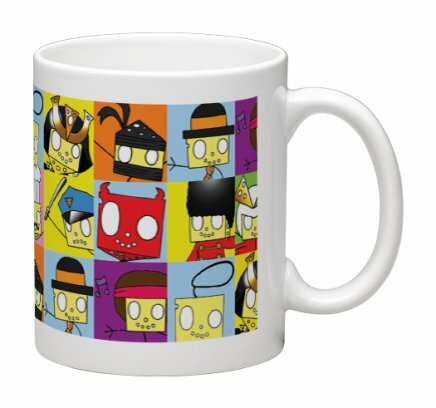 A colourful tile design mug featuring a host of different Cheesemen! 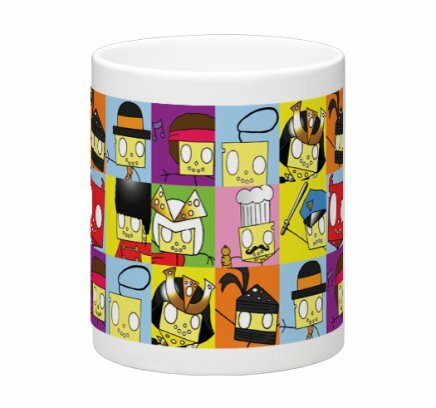 (Including Samurai Cheeseman, Ninja Cheeseman, Businessman Cheeseman, Disco Cheeseman, Knight Cheeseman, London Cheeseman, Power Cheeseman, “Swiss” (the Angel Cheeseman) and Leicester (the Devil Cheeseman!) The image wraps around the mug as shown in the pictures below. 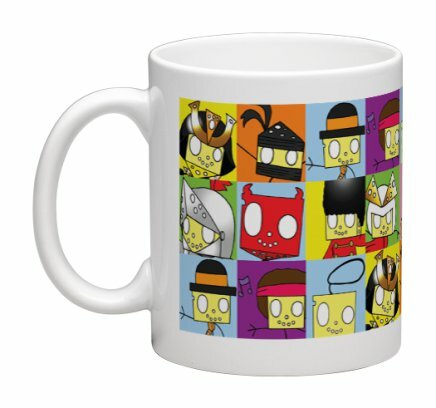 Great for having a cup of tea whilst enjoying your favourite Cheese!